At Fabricare Center we are thrilled to offer convenient pickup and delivery dry cleaning service in Sandy Springs, Georgia. Mondays and Thursdays are our delivery days in the Sandy Springs area. Place your garment bag outside your door and receive your clean clothes on your next scheduled delivery day. Let us pick up and deliver your dry cleaning for you and aid in streamlining your life! Who needs to worry about heading out of the office early to get to the dry cleaners before closing time? Why endure the headache of sitting in traffic and running one more errand, when we can save you a trip! Save time and gas money and take advantage of this convenient and easy dry cleaning perk. 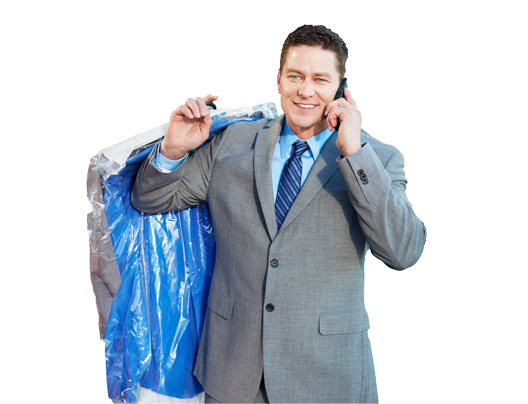 Sandy Springs residents, call us at 770-365-2793 or sign up for our free pickup and delivery dry cleaning service on our website at www.fcdrycleaners.com/signup. We also have two retail locations where you can visit us. Our Dunwoody location is at 2482 Jett Ferry Road, Dunwoody, GA 30338 and our Sandy Springs store is at 8611 Roswell Road, Sandy Springs, GA 30350. At Fabricare Center, we do it all! In addition to dry cleaning and laundering your shirts, we also clean blankets, linens, comforters, drapes, suede, leather, area rugs and most anything else you can imagine. We also provide shoe shine & repair; offer alterations; and take away your Goodwill (receipt provided). Most importantly, we care about the Earth and the value the impact that our business has on the environment. Therefore we proudly use GreenEarth cleaning, a non-ozone depleting, biodegradable, non-toxic, hypo-allergenic, odor free solution. Allow us to show you the luxury and convenience of Sandy Springs pickup and delivery dry cleaning, without any additional cost! Why not give us a try? Hundreds of your neighbors are! There is no start-up fee and absolutely no obligation. Stop driving yourself nuts! There is no reason to pick up your dry cleaning anymore. We can do that for you. And on top of everything, our team at Fabricare Center is very friendly and easy to do business with. Sandy Springs neighbors: we are excited to earn your business!